For close to a decade Vilas County has grappled with how to improve the facilities which directly serve the residents in the areas of public health, aging and social services. The County conducted a partial space needs study in 2009, and after receiving proposals from 17 A/E firms, they selected Potter Lawson to confirm the program needs and to prepare a Concept and Budget Report, to confirm a direction for the County Board. 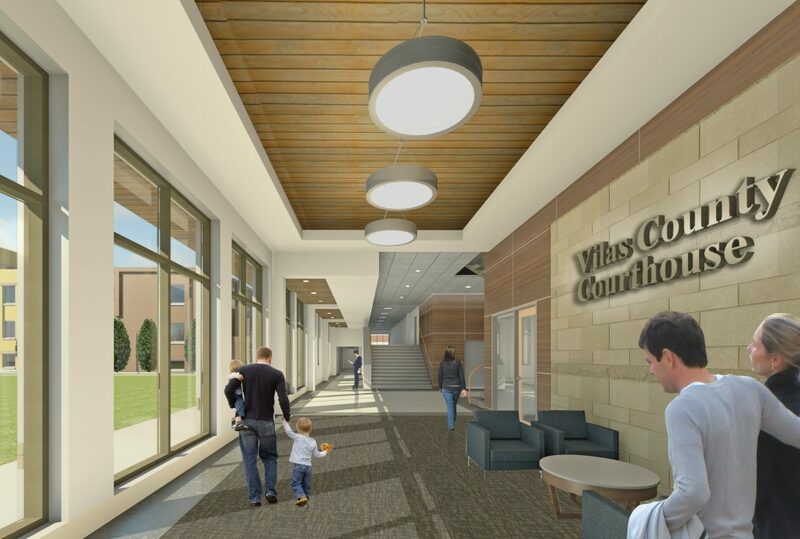 Following the completion of a space needs study, Potter Lawson was contracted to design the addition to the Vilas County Courthouse. 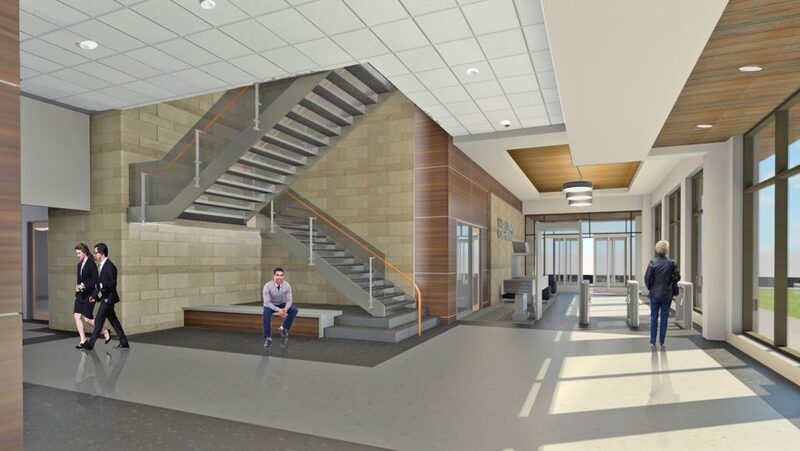 The recently completed 36,000 square foot addition houses ADRC, Veteran’s Services, Health Services, Social Services, Tourism and Publicity as well as the County Board Room along with common meeting rooms. This project also includes expansion of the maintenance and garage areas as well as some remodeling in the existing facility. Committee members complimented Potter Lawson on “exceeding their expectations” and involving them in the programming and design process.